Gregg Hurwitz’s bestselling Orphan X book franchise has been extended for three more books through 2020. The significant seven-figure deal was made by Keith Kahla and Andrew Martin of Minotaur Books and agented by Lisa Erbach Vance at the Aaron Priest Agency. Orphan X is the hit series whose film rights were snapped up a year ago by Warner Bros for Bradley Cooper and Todd Phillips to produce through their 22nd & Green production company, with Hurwitz writing the adaptation. CAA reps Cooper, Phillips, and Hurwitz, and brokered the deal in conjunction with Vance. Sold in 18 languages around the world, Orphan X features Evan Smoak, a covert solitary assassin trained from childhood inside a shadowy black government program. But his handler also teaches him to maintain his humanity. This collision course eventually lands him off the grid in a most unusual pro bono profession. 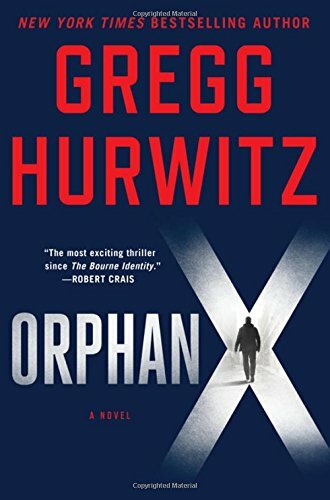 “We’re delighted to be continuing our exceptional partnership with Gregg Hurwitz to grow his very promising career – Orphan X is a breakout book and together we will propel the series to even greater heights,” said published Andrew Martin. Hurwitz is proving a hot writer for filmmakers, with a number of NY Times bestsellers under his belt as well as well-received comic books for Batman,Wolverine, The Punisher. His original screenplay, The Book of Henry, is being directed by Jurassic World‘s Colin Trevorrow, and will be released by Focus Features.